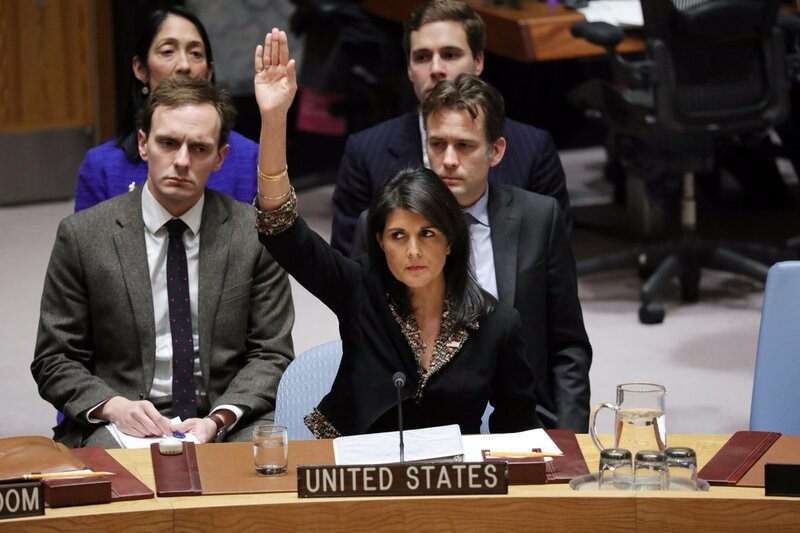 American ambassador votes against rest of the Security Council after call to reverse recognition of Jerusalem as Israel’s capital. Christians under attack by Islam. Again.